From sleepy market towns with their relaxed, time to help attitude, to prestigious cities packed with culture, world class attractions, superb shopping and stunning nightlife, there are many to chose from within an hour from Deanwood Holiday Cottages. Yorkley 0.5 miles from our Forest of Dean holiday cottages. Our local village has two mini supermarkets, a post ofice, two pubs which also serve meals and where dogs are welcome, hairdressers, Doctors’ surgery, primary school, and playingfield with skateboarding park. Lydney 3 miles from our Forest of Dean holiday cottages. A small town supplying everything you need – three supermarkets, banks, good selection of restaurants and takeaways, leisure centre with indoor swimming pool, historic harbour, fishing lakes, golf course, outdoor lido, parks, doctors, dentist, hospital, vets, craft and garden centres, start of the Dean Valley Railway. Chepstow 11 miles from our Forest of Dean holiday cottages. Gateway to Wales. Start of 3 national trails – Offa’s Dyke Path, Wye Valley Walk and Gloucestershire Way; Chepstow Castle, Chepstow Race Course. Monmouth 12 miles from our Forest of Dean holiday cottages. Picturesque old town; kayaking & canoeing; river trips; Nelson Museum. Regimental Museum & Castle. Start of The Peregrine Path – a footpath and cycle path closely following the River Wye within the Wye Valley Area of Outstanding Natural Beauty which links Monmouth and Symonds Yat. Gloucester 20 miles from our Forest of Dean holiday cottages. Cathedral City with historic docks. Rejuvenated Quayside, housing Designer Outlet centre, Antiques centre, Indoor climbing centre. Shopping city centre, Museums, Parks. Cheltenham 27 miles from our Forest of Dean holiday cottages. Best preserved Regency town in Britain. Excellent shopping, home to many top fashion and beauty boutiques. Sample the Spa Waters in the Pittville Pump Room. Start of the Gloucestershire Warwickshire Railway. Cheltenham Race Course. Playhouse Theatre. Hereford 27 miles from our Forest of Dean holiday cottages. Market town with weekly livestock and general markets. Hereford Cathedral and Mappa Mundi & Chained Library Exhibition. Belmont Abbey. Cider Museum. Herefordshire Light Infantry Museum. Tewkesbury 28 miles from our Forest of Dean holiday cottages. Cathedral town. Bristol 30 miles from our Forest of Dean holiday cottages. UK’s first cycling city. Harbourside with stylish bars, cafes, galleries & museums, aquarium, interactive science centre with 300 hands on exhibits, ferry trips. Old City with cobbled streets, medieval churches, stalls, Theatre Royal. 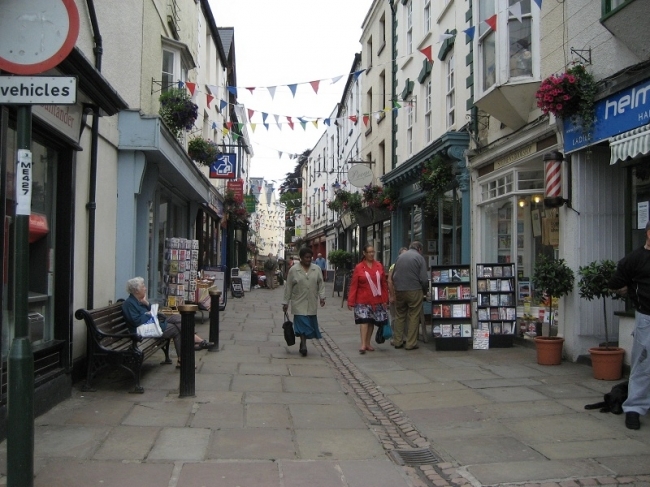 City Centre has the biggest and best choice of shops in the South West. Clifton Village, elegant leafy streets with designer stores and bijou cafes. Information on these and more are in our holiday cottages for you to browse and to help you plan your stay.